FREE Reading Games! 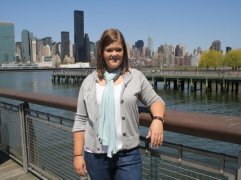 Jenna Rayburn from SpeechRoomNews.blogspot.com, has a real talent for creating fun reading games and wanted to share them with our readers. Our students really enjoy them so check them out below. Thanks for sharing Jenna! 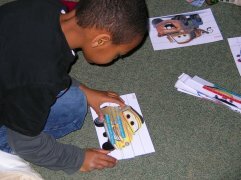 Students pick one Cars character (they love Cars!). Place the appropriate puzzle strips in a pile face down. 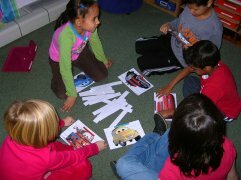 Students take turns picking one sentence strip. Students read the sentence. If the puzzle piece matches their Cars character they cover their puzzle. If the student has drawn a puzzle piece belonging to another student they must pass it to them! Two great things come together in this game: Cars and Uno. I mean, who doesn't love Cars and Uno? No one, that's who! The word lists in this game offer an effective way for kids to practice long vowel sound spelling patterns too. A win/win for everyone! Get your popcorn ready! This game combines both reading and math skills. Directions included. A very good reading activity for teaching the basic code. This reading activity offers a perfect way to practice high frequency words organized by vowel sound and spelling patterns. Very creative and fun! Directions included in the PDF. Another great reading activity for practicing reading decoding skills. Directions included. Use the enclosed word lists (organized by vowel sound, of course) to create this game. The popsicle sticks are used much like our reading fluency flash cards. A favorite of our 1st and 2nd grade students. Students challenge each other by starting at opposite ends of the ice and taking turns reading pucks and drawing game cards. 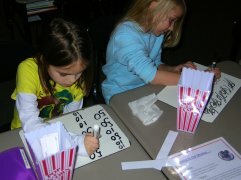 A fun way to practice reading decoding and high frequency words. This game is great for centers. 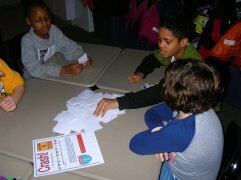 Kids roll dice and read the words that correspond to the numbers. First one to flip down all their words wins! We recommend laminating the game and using Velcro strips to hold the tabs down. 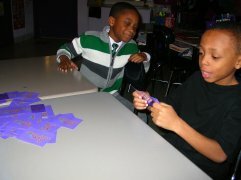 Flip It Down provides a fun multisensory way to practice reading basic code words. Perfect for kindergarten, first and struggling second grade readers. Practice reading in a fun way with these decodable sentences. First person to cover all of their paint colors wins! 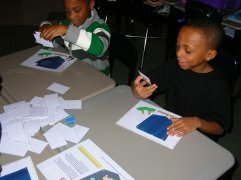 This reading game provides a fun twist to our popular Reading Fluency Flash Cards found on our Download Central page! 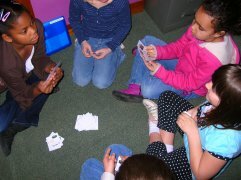 Our students love this reading game! 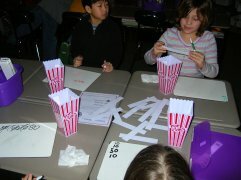 Popcorn Sentences is a fun way to practice reading decoding and reading fluency. You can also work some math practice in as well! This activity provides students the opportunity to practice that all so tricky advanced code! Remember, learning the advanced alphabetic code is a key to reading decoding and reading fluency. To learn more about the advanced code visit our Reading Activities II Page!